102 JAMZ HOOK UP #4 is the fourth of a series of events that showcases today’s hottest artists. 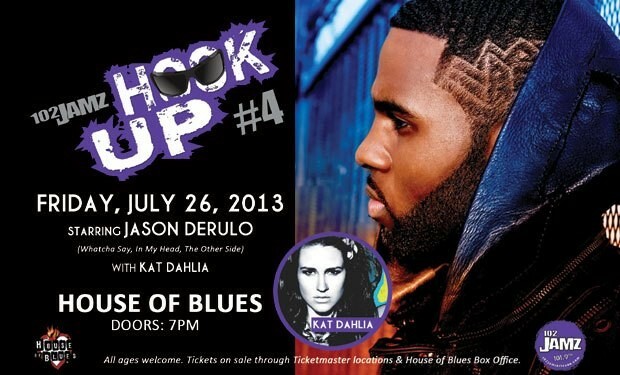 102 JAMZ HOOK UP #4 will take place at the House of Blues on Friday, July 26. Over 2,000 fans will pack out the venue for a night of entertainment including 102 JAMZ mixers, on-air personalities, National Recording Artist Jason Derulo, Kat Dahlia and more to be announced! Want to be one of the few lucky fans to meet Jason Derulo and Kat Dahlia? 4. 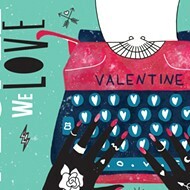 Tell us why we should pick YOU! Contest ends July 21nd. Winner should be contacted via email by July 22nd.